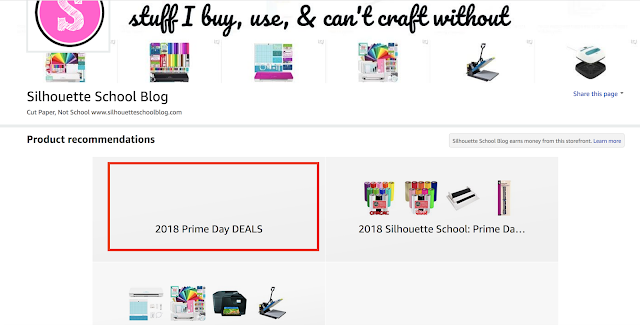 Amazon Prime Day 2018 (7/16): Silhouette Deals & Must Haves & Where to Find the Deals! Amazon Prime Day starts Monday, July 16 at 3pm EST and continues through July 17 and just like we've done the last two years, we'll be following the Silhouette and craft deals closely! There's never any way of knowing exactly what's going to be an Amazon Prime Day deal - or how long it will stick around - but I can give you some pointers and things to be on the lookout for and tips on making sure you don't miss a deal. The first thing you want to do is make sure you're an Amazon Prime Member. If you're not already you can sign up for a 30 Day Free trial to take advantage of the 2018 Prime Day deals when they start at 3pm EST today (July 16). 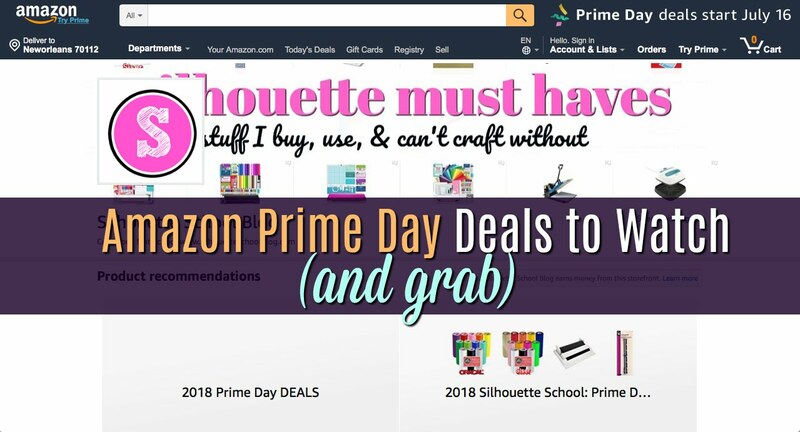 Then you want to be sure you're following both the Silhouette School Amazon Shop and the Silhouette CAMEO Deals and Crafty Steals Facebook Page. I'll be sharing the deals to both live and won't be able to send out emails or post quick enough on the blog. The Silhouette School Amazon shop has two lists you'll want to keep an eye on. Both are accessible by going to the Silhouette School Amazon Shop. The first is the Prime Day Watch List...that's the list of Silhouette stuff I consider must haves....any time. It's the one you should get familiar with now...ahead of Prime Day and be ready to jump if these items also end up as a Prime Day Deal. Then on Prime Day I'll be adding any an all deals to the 2018 Prime Day Deals List. It's empty right now because...well we have no idea what's going to go on sale. Keep in mind once I start adding items to this list, I have no idea how long the deals will be good. The most recently added items will be at the top. You will also want to make sure you are following the Silhouette School's Silhouette CAMEO Deals and Steals Facebook Group. If you're not a member already, request to join now so you make sure you are added before 2018 Amazon Prime Day starts!